Our unique dental office in the heart of Manhattan offers unparalleled dental care in an inviting, and serene office setting. Our cosmetic dentists are world-renowned professionals for their specialized services, exhibiting top tier expertise in a range of procedures—including full mouth reconstructions and large smile makeovers—and unparalleled attention to patient comfort. We routinely perform the most involved and complex dental procedures, correcting even the most challenging cases! Patients from around the globe seek our care in their quest for an amazing smile. Some patients come to us because of our reputation for advanced procedures. Others may feel comforted by our certification to administer IV sedation and our extensive experience working with patients who have dental fear. For patients whose hometowns do not have dentists who can match our high standard of precision care, our trusted services represent an opportunity for state-of-the-art dentistry. Most procedures require only a single visit and, with the twilight sleep of IV sedation, can feel like five minutes. Our patients include national and international residents and routinely see patients from London, Dubai, and France. First, contact our office manager Lindsay, either by phone or through email regarding your requested procedure. Send our office well-lighted photos of your smile, both front and profile views. Our dental specialists will evaluate the photos of your teeth and recommend an appropriate, personalized treatment plan to correct your teeth. After you have sent your photos, you can arrange a Skype consultation with one of our cosmetic dentists to discuss your preliminary plan. We place a high value in the initial consultation, seeing it as the most important step in establishing excellent communication and good dentist-patient rapport. We believe that proper communication is necessary to achieve clarity on goals and expectations. Once you have agreed on a plan, the next step is to contact our office manager Lindsay, who will provide a quote and can book a date for your dental procedure. Our staff and concierge can assist you in making hotel arrangements. Our staff can provide suggestions for hotels, activities, and other services that you may need to make your time in New York City a pleasant one. Once you arrive to New York, we will conduct an examination before your procedure to review your case in person and identify any issues. At this point you can raise any additional concerns you may have. 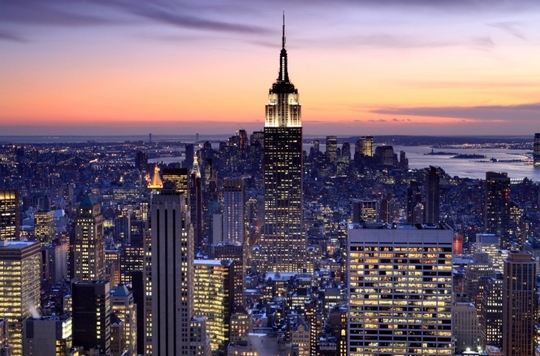 All procedures are done in our state-of-the-art Manhattan office. On the day of your procedure, we can organize transportation to the office. For your comfort, we have a specially designed recovery room so that you can rest, and not rush, after your procedure. For those who undergo IV sedation, we recommend that they stay in the recovery room until they feel absolutely ready to leave the office. After your appointment, we can assist you with transportation back to your hotel and provide you with any other advice you may need related to the remainder of your stay, including a private nurse. Our staff is dedicated to making your experience with our office a positive one! At our facility, you will encounter a friendly and professional staff and a clean, modern, deluxe space with all the amenities. We can provide exclusive limo service to and from the office. We also partnered with Manhattan’s best hotels, such as the Pierre Hotel, to provide our patients with the most luxurious accommodations. If you need assistance with transportation to and from the airport, we can arrange that as well. No order is too large and no detail too small! If you live outside the New York metropolitan area and are interested in the expert cosmetic dentistry that we offer, please contact our office! We encourage you to contact our office manager Lindsay by phone at (212) 203-0875 or email at international@smileinthecity.com with any questions or concerns you may have. Lindsay will help you make all the necessary arrangements for your procedure to make your stay the best and most convenient! We look forward to perfecting your smile for years to come!